We build and design our websites using WordPress. This is like the chassis of an automobile. We install the fenders, roof, tires and interior which will give your customers a comfortable ride. I's no wonder why over 25% of the websites created today are on WordPress. In addition, WordPress is constantly updated so you stay current with technology. That means you won't need another website down the road, just a wax or new paint job! The WordPress websites we create have a customer login screen that will allow you to update your own content without web design or programming experience. This puts the control in the clients hands, not some offsite tech person. This gives you independence to update content with minimal cost. With our library of WordPress plug-ins, we can create the ultimate SEO friendly website. Get Found In Town can design a Website and install plugins that can help your business get found in a local, regional or national marketplace. A plugin allows wordpress to be taken to the next level by activating design enhancements to create a very unique look and feel and also an extremely functional website. An effective website should be easy to navigate and supported by a strong Internet Marketing Campaign, including citation building, social media marketing and reviews/reputation management. 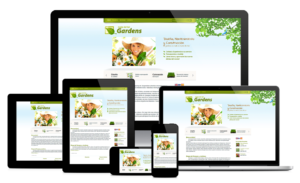 Contact us today for more information on ways we can provide you with a more effective and mobile friendly website.